We cultivate throughout the year a wide variety of fruits on our grounds of around 65,000 m², allowing you to enjoy fruit picking in every season. ◯ There are two courses available for each type of fruit: an All-You-Can-Eat Course, during which you eat on the spot as much fresh-picked fruit as you like, as well as the Basic Course, which allows you to try a set selection of our harvest. ◯ You may also like our Barbeque Set, which includes locally produced BBQ and homemade gelato, or perhaps our Sweets Set, consisting of a drink along with a seasonal dessert of your choice, such as our fresh fruitcake or homemade gelato. 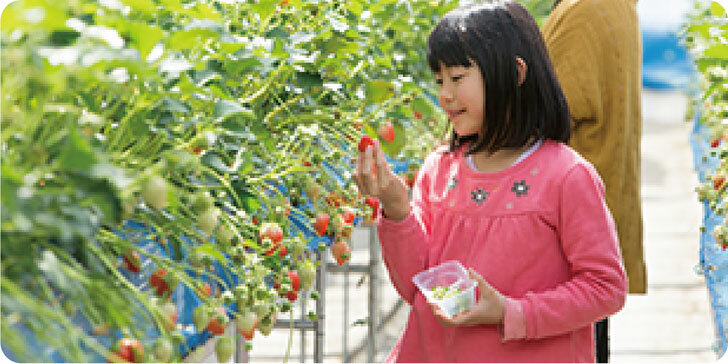 A special breed of strawberries from Gunma prefecture. Characteristic for its large fruit. The secret is the sweet and sour flavor that will make it feel like your cheeks are falling off. 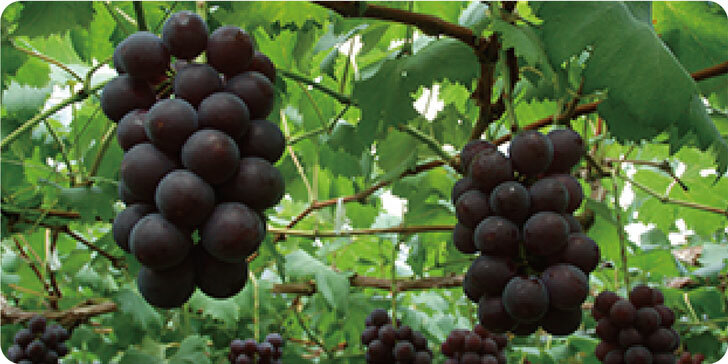 A variety that has soft fruit and is rarely on the market. An illusory strawberry that can only be eaten at orchards. 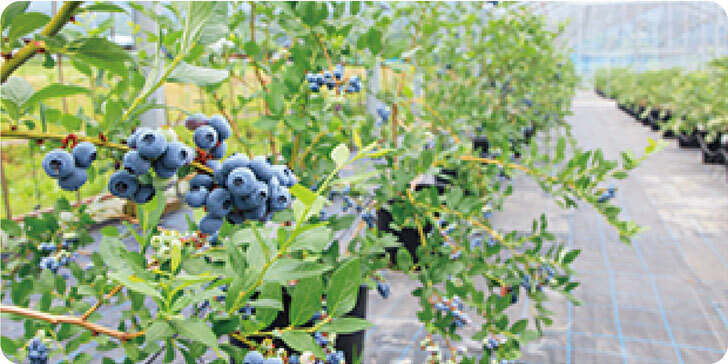 We are barrier free, use elevated cultivation, and the facilities are cool; those in wheelchairs and are accompanied by small children can expect a safe and fun fruit hunting experience. * Adult refers to middle schoolers and above, young person includes elementary schoolers and above, and toddlers refers to children three years and younger. * Each set available to parties of one person and above. Please contact us ahead of time if your party is over 10 people. A variety representative of all cherries. It excels with a balance of both sweet and sour flavors. A comparatively new variety. It is popular for having little sourness, and being very sweet due to its high sugar content. Its flesh is tough, and so it keeps well. A mid-sized variety. It has a unique flavor with balanced sour and sweet flavors. It is succulent, both soft and juicy. It has a strong sweetness. A variety that becomes sweeter as the tree ages. A good balance of sweet and sour. A variety with strong sweetness and slight sourness. Mid to large sized fruits. A variety with large, soft fruit. Sweet and sour are well balanced. An early ripening variety. 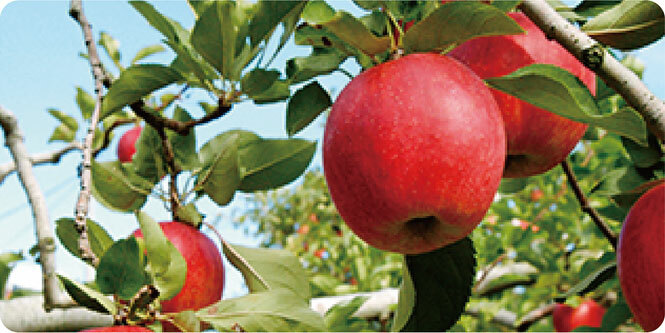 Harvests in great quantity with large fruit. Its sweetness strengthens when it ripens. A variety with large fruit. It has a characteristic sophisticated aroma. Reveille, Jewel, Duke, Blue heaven, Legacy, Blue chip, Camille. 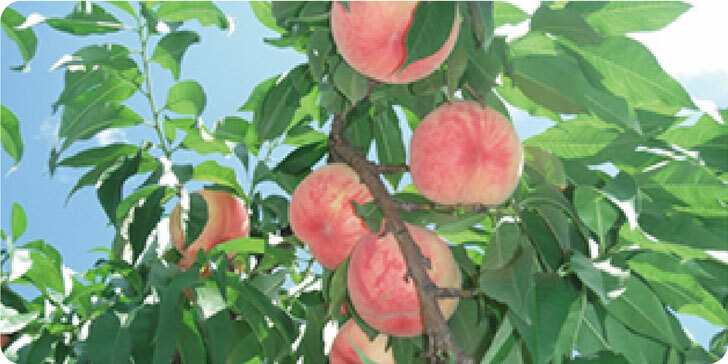 Called the golden peach, it is said to be the most delicious among all varieties of peach. While small in size, its popularity is massive. A white peach, large in size with a tough texture. Recommended for those who like a tough peach. Takenosawa gold, Benikawa Nakajima, Madoka. * We offer 30 minute all you can eat courses with the [barbeque set] and the [sweets set]; inquire when you make your reservations. Its characteristic for its green skin and vivid red flesh. 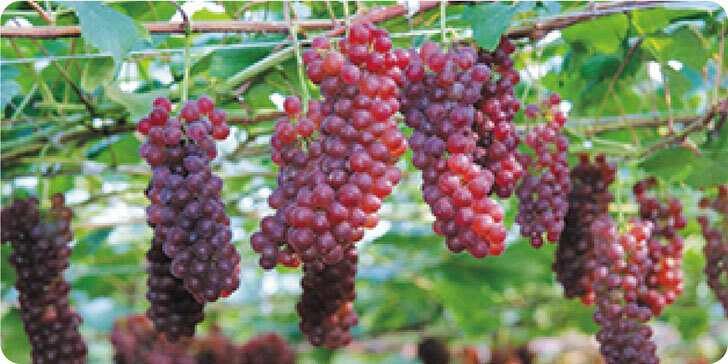 It is a popular variety, with well balanced sweetness and sourness. 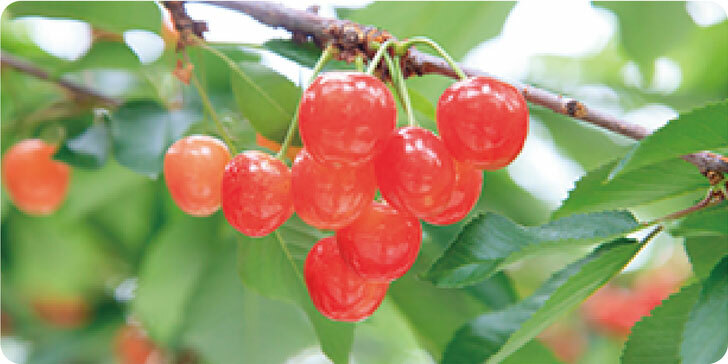 A large variety with soft sourness, a strong sweet taste, and very juicy. 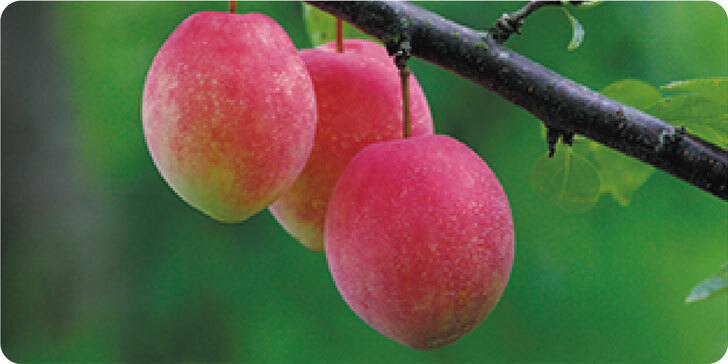 It has been recognized by Guiness as the world's heaviest Japanese plum. A variety with an recognizable aroma. It is characteristic for its yellow flesh and strong sweetness. A small grape. Very sweet and juicy. It has no seeds, so you can eat it as is. 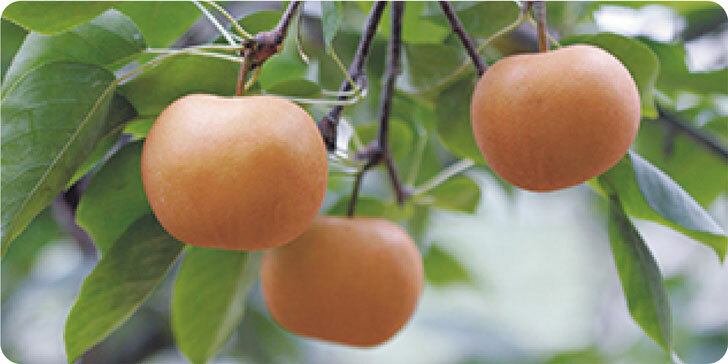 Juicy with penty of sweetness and sourness, it has a delicious flavor that makes you want more. A popular variety. Eat everything, including the skin. Good balance of sweetness and sourness. Slightly small. Characteristic for its rich sweetness. Its well packed flesh gives a great feeling with you bite down, and is very sweet. Magenta in color. Soft flesh and very sweet, wish a sugar level from between 18~20. Fujinori, Aki queen, Takasumi, Pione, Beni Izu. Child & Baby: ¥1,700 none. * Amount of sale of large grain picking varies depending on its kind. No sourness, tightly packed flesh, and is very juicy. Characteristic for its robust aroma and juices that take up half of its flesh. Keeps the best out of any variety of apple. Great as a gift. An apple filled with juices. A sweet apple found also in market places. Large in size. Good for use in jam and pie. An early ripening apple. Recommended for those who like a soud apple. A very slim and small apple. Keeps well. Characteristic for its dark red skin. Popular for its crisp texture. Gunma Meigetsu, Fuji, Shinsekai, Yoko, Akagi, Slim red, Akibae. 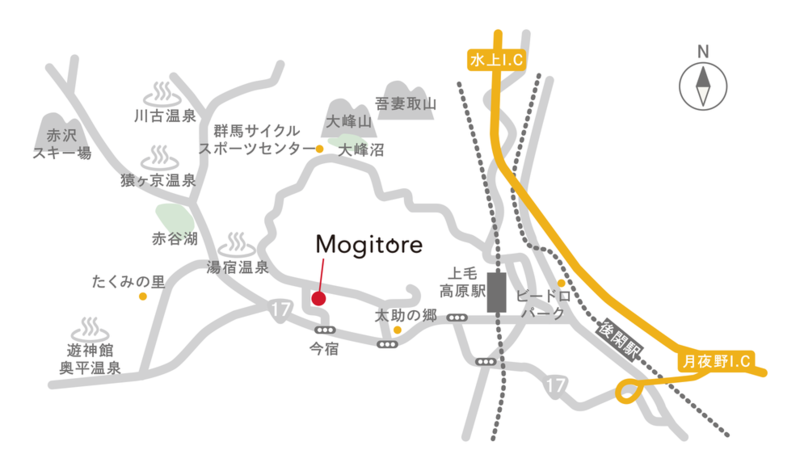 Please register at the reception desk at Mogitore on the same day as your visit. 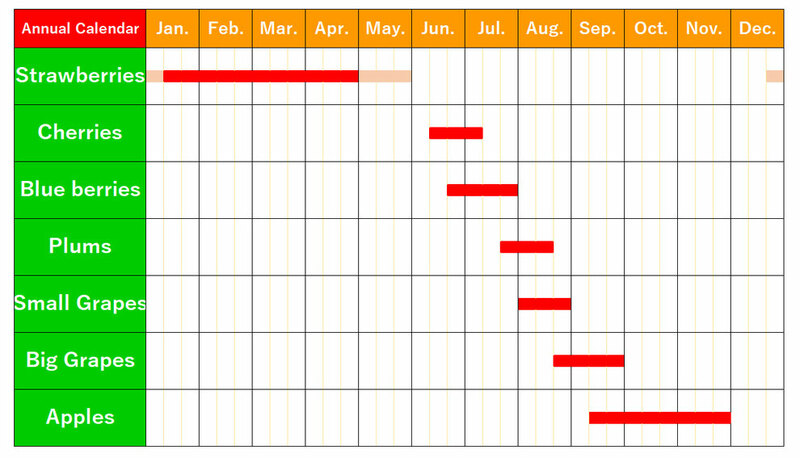 All-You-Can-Eat Courses and Basic Courses are available depending on the fruit. Payment can be made after filling out the registration form with the details of your planned schedule and number of guests in your group. * For groups larger than 10 guests, we please ask you to make a reservation in advance. To do so, please call us at 0278-64-2800 or leave a message on the online inquiry form below. 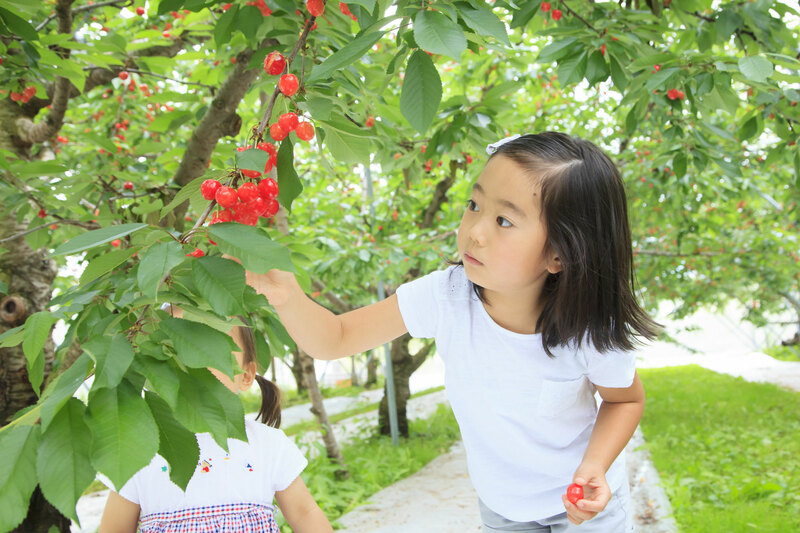 When you are ready to go to the orchard, we will provide you with important points on how to pick the fruit. 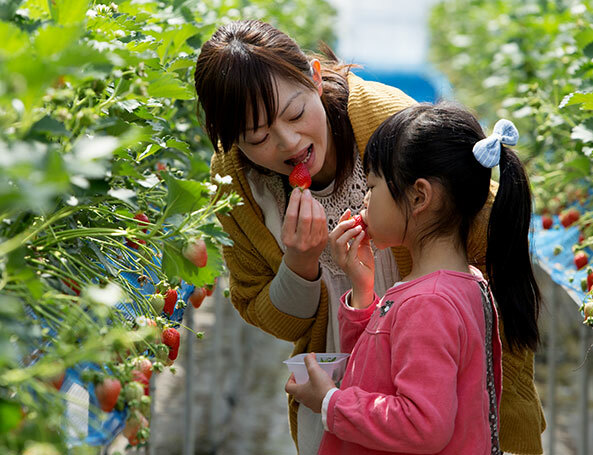 After reaching the orchard, you can set the start time of the 30 minute All-You-Can-Eat Course, after which an assistant will inform you of the ending time. We also sell fruit by weight. For more information, please ask one of our staff members on-site. 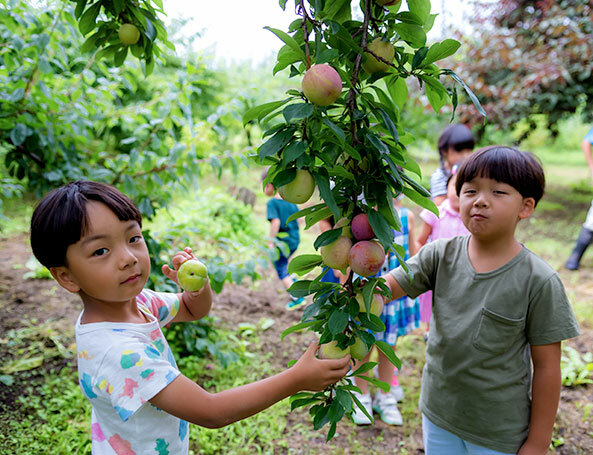 We offer a wide selection of activities for you to enjoy after fruit picking. Inside Mogitore Center in the Café Space you can snack on a dessert made from our many seasonal fruits. Or dine on BBQ or steak in our outdoor Restaurant Space. We also have classrooms available where you can learn how to use fruit in handmade creations, as well as a souvenir corner stocked with a wide range of local products.